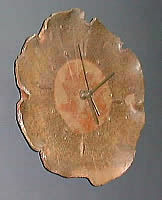 A small Bizen clock ticks away the time in Kuroda Toen in the Shibuya district of Tokyo. This small gallery has been around for three decades and is one of Tokyo's premier venues for potters to exhibit. Kuroda (Black Rice Paddy) is a family name and the owner of Kuroda Toen is Mr. Kusaomi Kuroda. His father, Ryoji, opened the first gallery in Japan to deal exclusively with contemporary pottery - that was in 1935. The original Kuroda Toen is still in Ginza and run by Kusaomi's older brother, Kazuya. Indeed, it is a family-run business; Kuroda's wife is always in the gallery as are his two sons, Koji and Yuji. 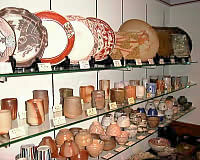 The gallery is divided into two parts, the left portion always has a variety of pottery on display while the right side is used exclusively for exhibitions. An exhibition usually runs for six days from Friday to Wednesday. As you walk into Kuroda Toen you'll see a case of drawers on the left. These contain a wonderful selection of sake utensils, guinomi and tokkuri, and one is free to pull them open to see the treasures within. 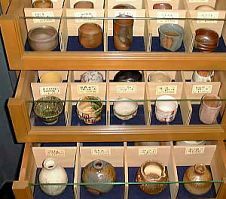 The left set of drawers contains mainly Bizen wares (a sake drinkers favorite) and the right side has Karatsu, Hagi, celadon, Shino, and other traditional styles. Beside the drawers is a wall that is always lined with tea cups (yunomi), plates of all sizes, and sets of tea cups (kumidashi). Recently, a large glass case was put in the gallery to showcase some major pieces - while I was there a saw a fine Hagi chaire (tea caddy) by Kyusetsu Miwa, a smooth ash-glazed tokkuri by Shoji Kamoda, and two elegant white guinomi by Kazuo Yagi. A small tatami room with an alcove is a nice place to sit and rest. The exhibition area of the gallery can be seen by viewing the exhibition review page about Jeff Shapiro. 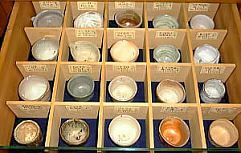 I have been responsible for supporting many of Japan's better ceramists including Jinembo Nakagawa, Zenzo Hatano, Kuroemon Kumano, Kazuhiko Miwa, and Shuroku Harada among others. Up and coming potters are frequently exhibited as well.  Kuroda has written a few books, two on Bizen, and one on his contacts with potters over the years, including meeting Rosanjin while he was a teenager. Kuroda Toen is located quite near the JR Shibuya train station and is always a great place to stop by to see a beautiful selection of contemporary Japanese pottery.